Oooohhh!!! We loved our Plymouth/Boston trip with you guys! As far as we’re concerned, hanging out with Landmark Events would always be our first school choice! !” —Patrice D.
his Thanksgiving season, consider joining a small group of grateful families as we gather together in Plymouth Massachusetts to remember the Lord’s kindness and mercy, just as our Pilgrim Forefather’s did almost 400 years ago. Armed with great faith that upheld them through incredible trials that claimed half of them by the end of the first winter, these 104 hearty souls now have over 30 million descendants! Come spend the week learning, remembering and celebrating the providence of God in our nation’s founding and the birthplace of her spiritual heritage. 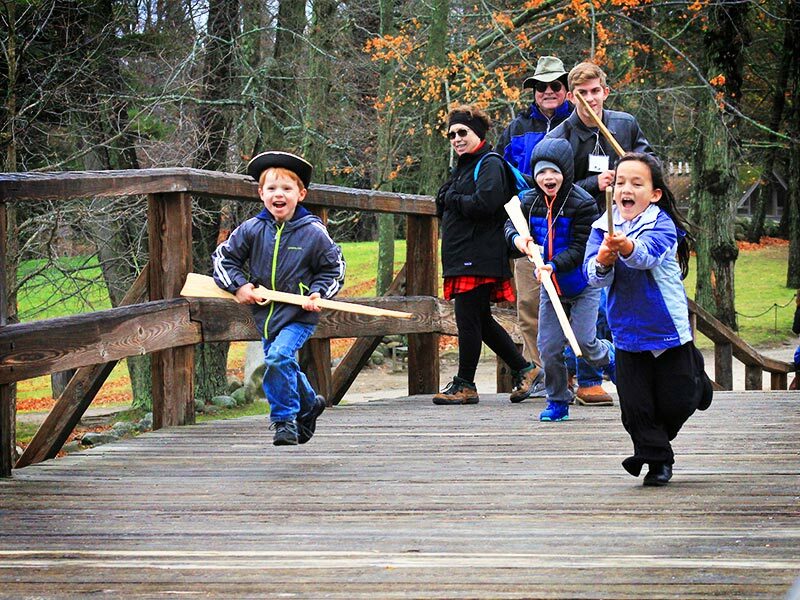 This remarkable tour will include the celebration of Thanksgiving with a Pilgrim-style feast at Plimoth Plantation. We look forward to seeing you there! Bonus Day: Ipswich and Salem! We have arranged a special treat for our guests this year, a bonus day in Ipswich and Salem with local expert Dr. Paul Jehle, pastor and Executive Director of the Plymouth Rock Foundation. Bonus day in Salem and Ipswich! 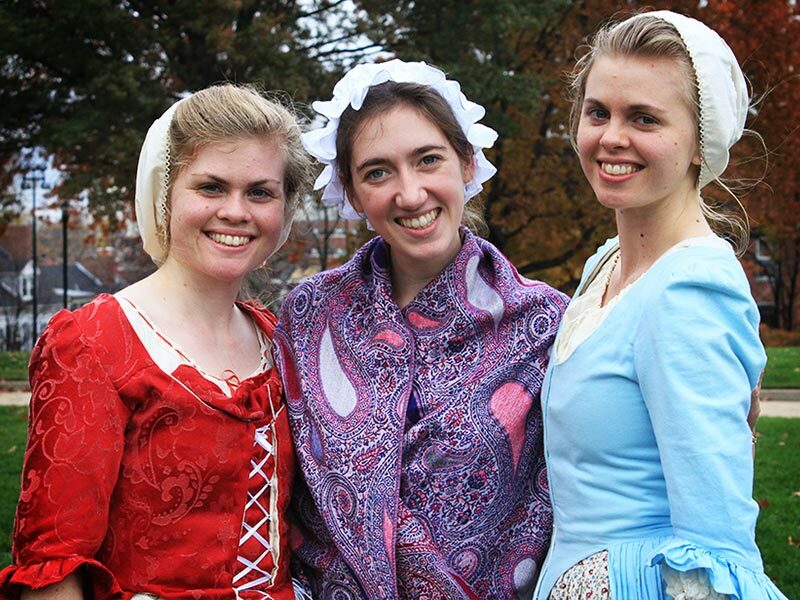 Thanksgiving period feast at the Plimoth Plantation Friday, November 16. Families of 5 or more save 5%! * 5 and under free if sitting on lap of family member. 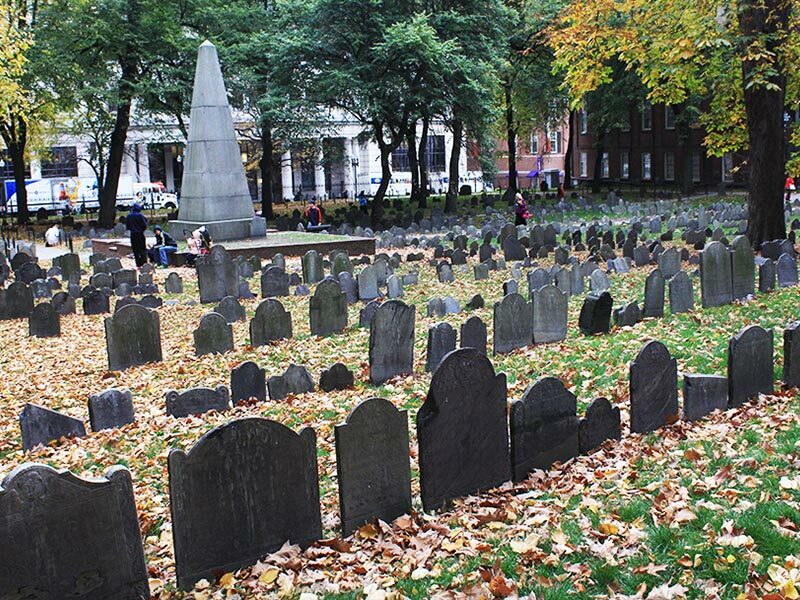 We will begin our adventure Tuesday in Boston traversing the Freedom Trail, visiting ancient burial grounds at The Granary, Kings Chapel and Copp’s Hill, along with historic patriot gathering places like Faneuil Hall, Old North Church and Old South Meeting House telling the stories of the liberty, conspiracy and victory that forged our nation’s independence. We will finish at Old Ironsides, the USS Constitution, America’s oldest commissioned naval vessel and veteran of the War for Independence. Wednesday, we will walk the battlefields where the first military engagements of the War for Independence were fought beginning with Lexington — site of the “shot heard ’round the world”. 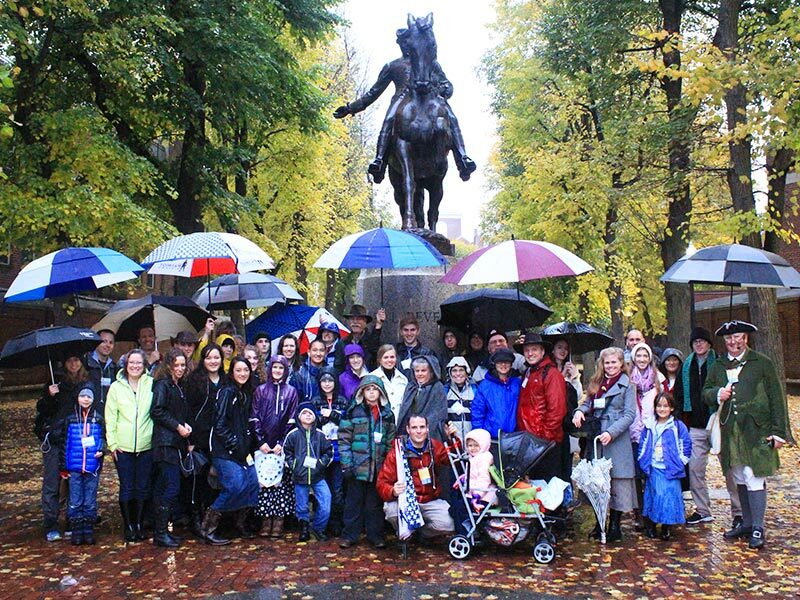 We will travel on to Concord and charge over the Old North Bridge, driving the British back where they came before, scaling Bunker Hill to hear the remarkable accounts of that singular battle in the heart of Boston. Charging across Concord’s Old North Bridge! Period Dress on Bunker Hill! Thanksgiving is America’s holiday and Plymouth is the symbol of where our national celebration began. We will spend Thursday on a walking tour of Plymouth, exploring the many monuments and museums as our tour historians tell us of the brave men and women who seeded the country almost 400 years ago. We will learn about the people, places and events of the beginning of our country as we walk along Town Brook on the same paths our forefathers walked centuries ago. We will visit the grave sites of our ancestors and become acquainted with the thoughts of these remarkable people. Discover why the Pilgrims changed from communal living to land ownership, and how this change led to the beginning of free trade, industry and capitalism in our country. Hear about the relationship between the Pilgrims and Natives and how they worked together in support of each other. 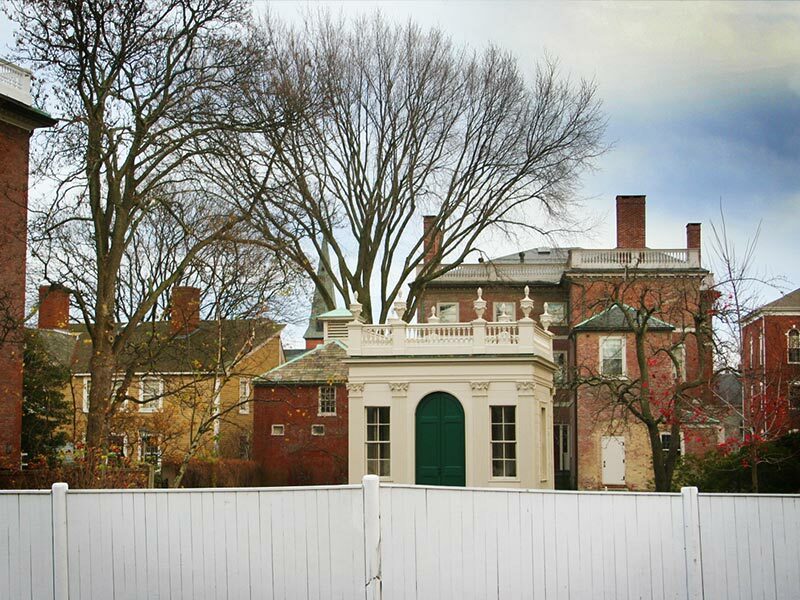 Stops include Burial Hill, Pilgrim Mothers Monument, Plymouth Rock, Brewster Gardens, Pilgrim Hall Museum and the National Monument to the Forefathers! Friday we have a great day planned at Plimoth Plantation, the 17th-Century English Village re-creation of the small farming and maritime community built by the Pilgrims on the New England shore now inhabited by the best Pilgrim reenactors we know. We’re in for a real treat as we partake in a traditional Thanksgiving dinner with all the New England trimmings among Pilgrim role players at Plimoth Plantation. Deep Discussion with a Pilgrim! We have arranged a special treat for our guests this year, a bonus day in Ipswich and Salem with local expert Dr. Paul Jehle, pastor and Executive Director of the Plymouth Rock Foundation. 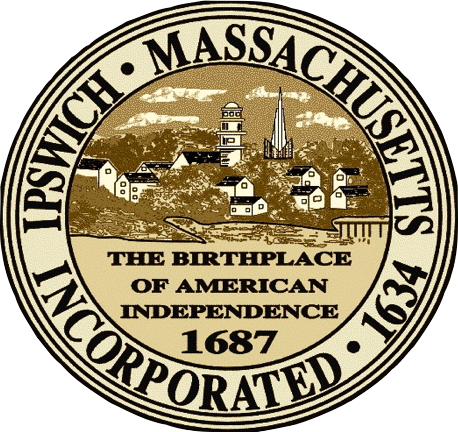 The Ipswich Town Seal declares it is “The Birthplace of American Independence” yet the date given is 1687 almost a hundred years before the Declaration! Come on this tour and hear the rest of the story! You’ve heard of the Salem Witch Trials, but what really happened and what can we learn from them? Dr. Jehle shares his unique insight and sound scholarship on the ground where it happened. The Tour was fantastic! I had exceptionally high expectations entering the tour and you managed to exceed even this high bar! Well done Landmark Events!! I highly recommend [these tours] to others seeking to learn more of the Godly heritage and the providential history of sacrificial actions that have been handed down to our generation of Americans.” —Scott Z. An ardent student of history, Dr. Paul Jehle serves as the Executive Director of the Plymouth Rock Foundation, an organization dedicated to the remembrance of the Pilgrims and the Christian heritage that was forged in the wake of their influential devotion to God and the Bible. 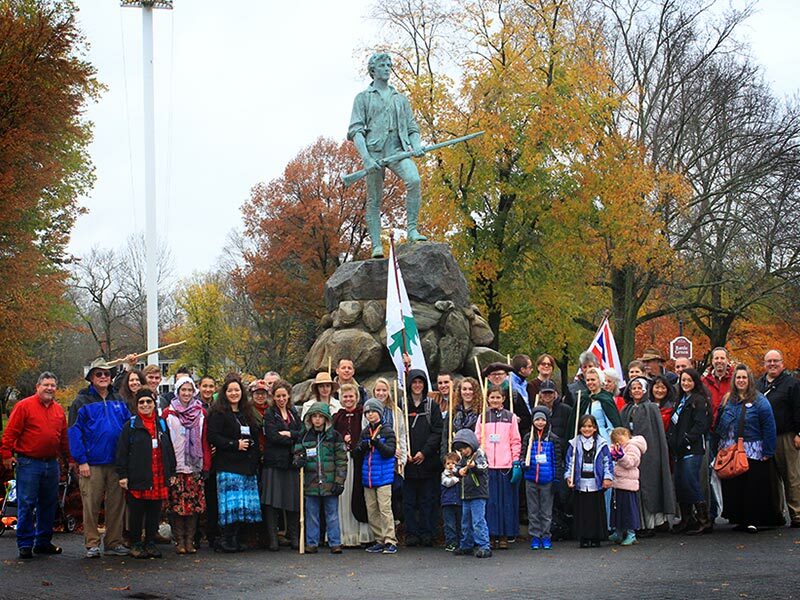 Paul has travelled across the nation and to a number of foreign countries, hosting seminars and teaching on America’s Pilgrim and Patriot heritage. He holds a Bachelor of Arts degree in Mathematics from Barrington College, and a Doctorate degree in Education from Whitefield Theological Seminary. Paul began giving walking tours of Plymouth and its monuments in 1978, and in 2004 he published Plymouth in the Words of Her Founders for visitors to the Plymouth area, allowing the Pilgrims to interpret the monuments erected in their honor through their own words. Dr. Jehle also serves on Plymouth’s 2020 Commission in preparation for the 400th anniversary of the arrival of the Pilgrims. Paul and his wife, Charlene, have two grown children. Born and raised in Boston, Richard Holland founded CTB Tours in 1994 after performing tours locally and abroad for over 20 years. In addition to earning a Masters in Education from Gordon-Conwell Theological Seminary, he is a perpetual student of colonial and recent history of Boston. 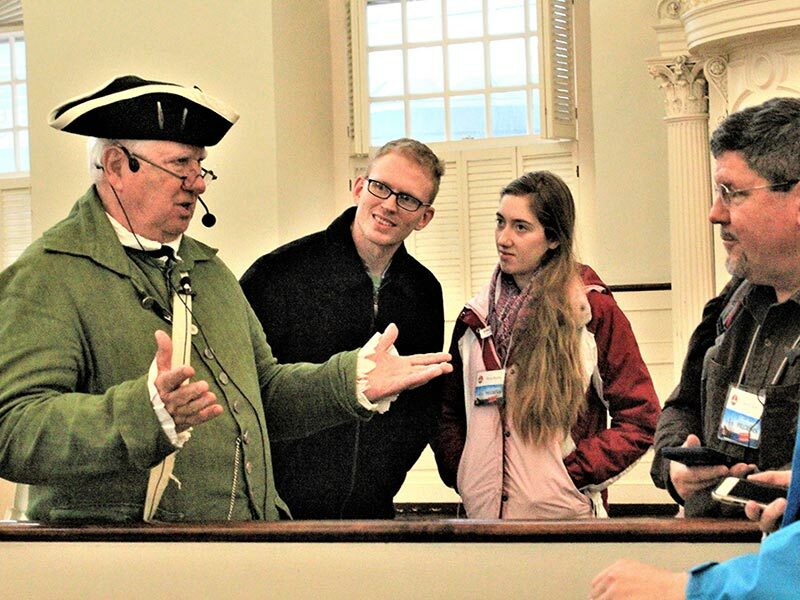 His depth of knowledge and passion for providential history translate into tours that are entertaining and educational, making history come alive. Leo Martin, an educator and expert on the early history of our nation, is a true patriot and compelling tour guide, who has been ranked #1 on Trip Advisor for the past seven years. Leo is the Education Director at the Jenney Museum in Plymouth, MA, where he is known for his service giving historical tours and lectures dressed in Pilgrim costume. He is a champion of our nation’s founding values displayed in the National Monument to the Forefathers in Plymouth. A sought-after speaker, his book Pilgrim Pursuit of Happiness describes the various kinds of liberty brought in seed form by the Pilgrims to Plymouth. Leo and his wife Nancy have been married for forty years, have three grown children and four grandchildren. They have been working together at the Jenney Museum in Plymouth for the past 12 years preserving the Christian heritage of our country. We have secured the rooms at the Best Western Cold Spring in Plymouth. Tour guests are welcome to book rooms wherever suits them best, however, bear in mind that on Monday, Tuesday and Wednesday mornings the bus will depart from our headquarter hotel, and we will also host our after dinner discussions there. While the tour officially ends on Friday, November 17, Plymouth’s fantastic Thanksgiving Parade takes place on Saturday, November 18, so you may consider staying over that night. Please email your room type, arrival and departure dates to info@landmarkevents.org and we will secure your room and contact you for payment. All rates based on single/double occupancy (plus 11.7% lodging tax). Additional person in a room, 12 and over, after the first two: $18.00 per night. Alternative accommodation ideas can be found at VRBO.com and Airbnb.com where there are several houses and apartments to choose from. Guests are responsible for their own transportation around Plymouth.